PRICED BELOW MARKET! Welcome home! 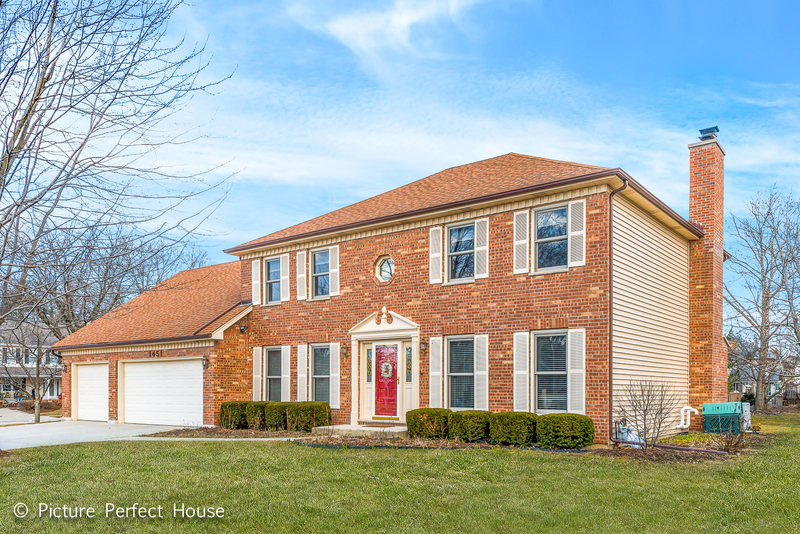 Beautiful, spacious & updated home with over 3,000 SF in fantastic Huntington Ridge! Over $100k in renovations! SUPER RARE 4 car tandem garage! Hardwood floors from the foyer through the dining, kitchen, family room & office! Remodeled kitchen with 42" cabinetry, granite countertops, island & butlers pantry! Spacious eating area with sliding door to private yard is open to the family room with brick fireplace! Main level also features formal living & dining rooms, laundry room & spacious office! Large master suite with his & hers closets, huge remodeled bath with oversized vanities, free-standing tub & separate shower! 3 other large bedrooms with great closet space plus remodeled hall bath! Finished basement with rec room & additional craft/bonus room! Tons of storage! Brick front, newer siding, roof, driveway & windows! Furnace 5 yrs new, A/C 10 years. Sprinkler system, large deck & paver patio, professional landscaping! Radon mitigation system!